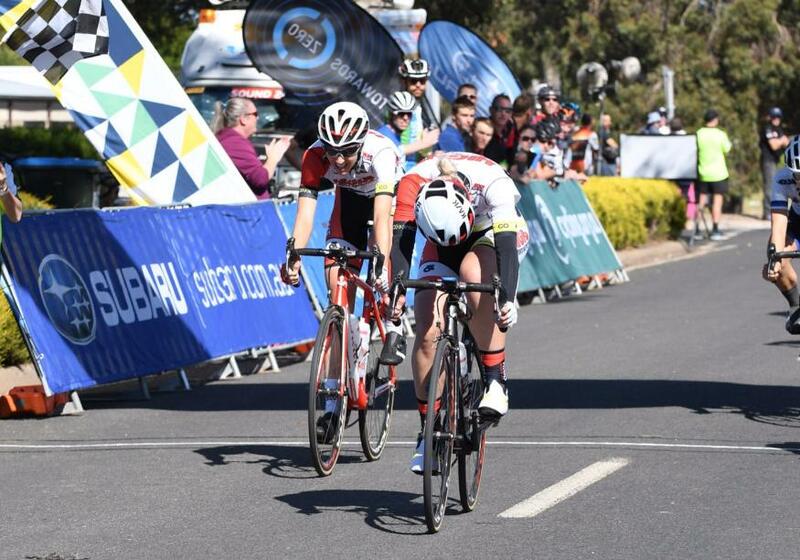 The High5 Dream Team finished off the Tour of East Gippsland in style, capping off a strong tour with a 1-2 on the final stage and also securing Lucy Kennedy’s 4th position on the general classification. It had been an active day in the saddle with the peloton wary about letting any riders get too much advantage and the pace was almost always quite a quick one over the undulating course. Riders were shelled off the back in the race of attrition but the High5 Dream Team had their full complement coming into the uphill bunch sprint, launching off the front. Sam de Riter came off Lucy Kennedy’s wheel to power to the win, with Kennedy holding on for second to complete a memorable 1-2. 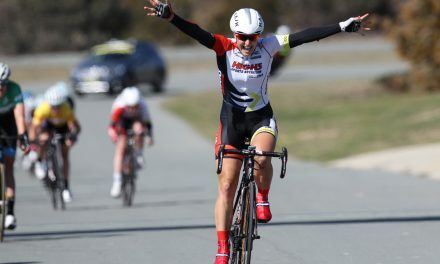 After the race Sam de Riter was understandably pleased to have claimed her first individual win since 2013, though she wasn’t certain of it until she crossed the finish line. It was a late change to the plan that saw de Riter sprinting for the win, getting a bit mixed up in the sprint train but fighting through for the victory. The overall team performance was another highlight of the week for de Riter with Jessica Pratt and Ruby Roseman-Gannon, the new additions to the team, fitting in well with the squad. “We came in with just the four of us, some new girls and we were just looking to see how we ride and work together. It was a weekend to test ourselves rather than expect too much. Everyone had an opportunity for themselves as well as to help their teammates. 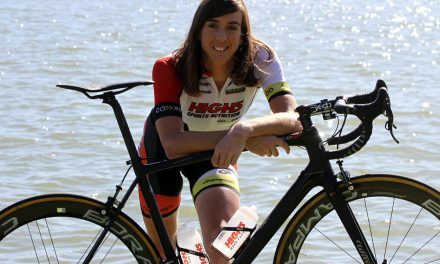 The High5 Dream Team also had cards to play in the general classification battle on the final stage with Lucy Kennedy sitting in fourth position going into the final stage after a strong time trial performance that had her sitting just five seconds off the overall lead. After the race, Kennedy was very happy with the stage win if slightly disappointed in the overall result. In a three-stage Tour it was always going to be hard to flip even a few seconds advantage without particularly hard climbing or bonus seconds on offer. 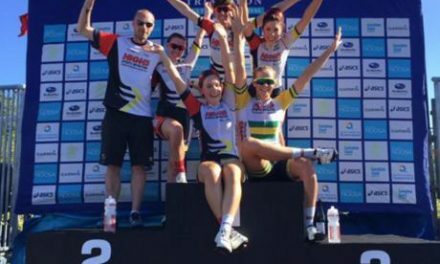 The High5 Dream Team will next race at the Oceania Championships with a block of National Road Series events not long after in what will be an important spell of racing for riders and teams that want to challenge for the overall series victory. “The next block should be a lot of fun. I think there’s three weekends in a row of racing and a bit of excitement with Battle on the Border and Mersey Valley coming. There’s some hills as well for me so hopefully I can show a bit more of myself there,” concluded Kennedy.